« Why not have a go at whistling with a blade of grass? In meteorological terms today (1st September) is the first day of Autumn and having just returned from 2 weeks of very hot sunny weather in Greece it certainly feels like it too, the garden now has an Autumn look, the plants have lost their vigour, leaves are changing colour, going crispy and even dropping off, what were once colourful flowers are now ripening seed heads. I love Autumn it is a time for harvesting, storing, tidying up the garden/allotment, planting for Winter and Spring and taking stock of this year’s crops. 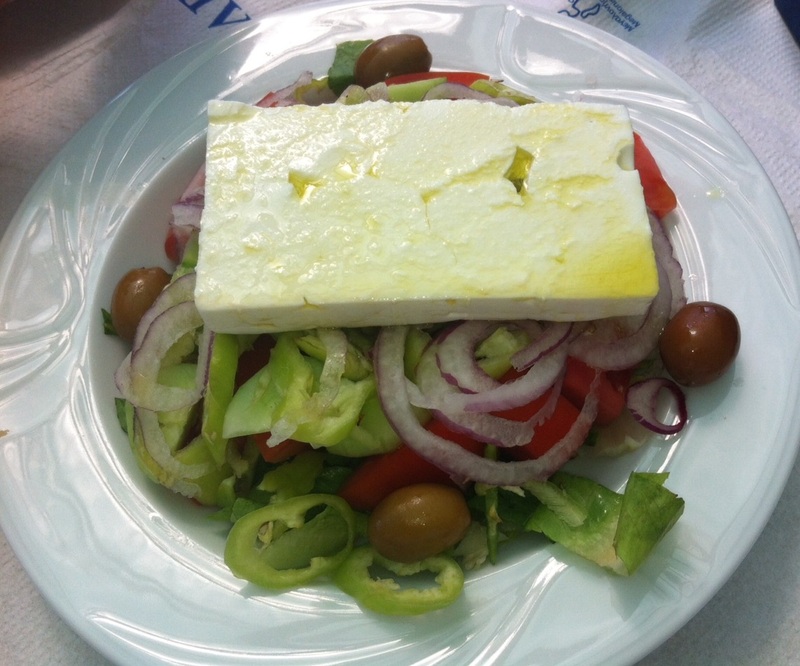 At this time of year there is often a glut of produce, if you have lots of salad crops why not consider making one of my favourite Greek dishes a traditional Greek Salad. Place all of the ingredients in layers in a large bowl starting with the lettuce followed by the tomatoes, cucumber, red onion, green pepper, olives, feta cheese. Drizzle over the olive oil, sprinkle on the oregano and season with the salt and pepper to taste. Eat as the Greeks do with crusty bread to mop up all of those beautiful juices. This will serve four as a side dish or 2 as a starter. It is so simple and delicious, with all the flavours of the Mediterranean in one dish.